Happy Chinese New Year! This is the year of the pig and social media has seen an explosion of mini pig inspired steamed buns at popular Chinese restaurants and tea rooms across London... But what else are people eating? Year after year traditional dishes are eaten during the 16-day festival representing different symbolic meanings based around luck. Fish to increase prosperity, Longevity Noodles for happiness and longevity, Dumplings for wealth, Spring Rolls for wealth, Good Fortune Fruit for fullness and wealth, Tangyuan (Sweer Rice Balls) for family togetherness and Niango (Glutinous Rice Cake) for a higher income or higher position. Millions of fortune cookies are made each year with almost all of them being made in the united states! Despite rumours that Chinese-American culture provided the world with the very first fortune cookie we now know this treat originated from Japan. 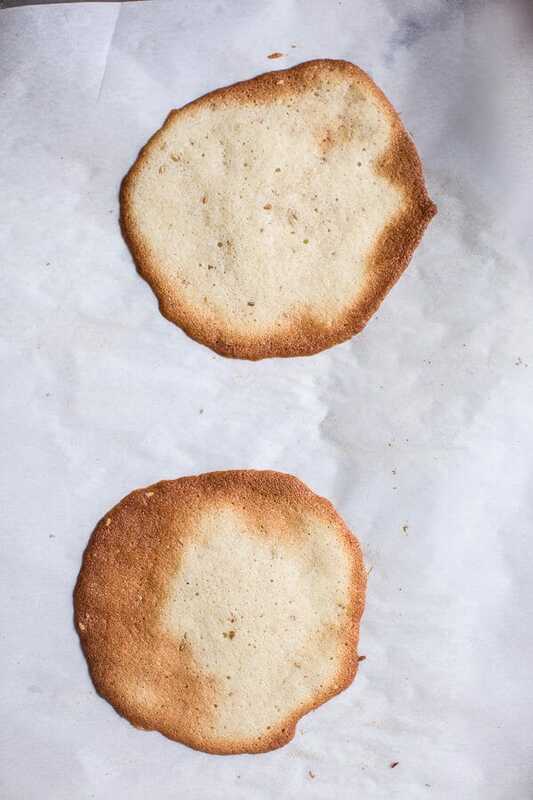 Historical evidence of obscure shaped cookie-shaped crackers made by hand near a temple outside Kyoto and not forgetting historic Japanese literature and artifacts continue to back this theory. Over recent years this cookies exterior has become as interesting as the message hidden inside, due to America's influence on this after dinner treat. We have seen a variety of flavours, colours and decorations for lots of occasions. 1. Start with preheating the oven to 350 degrees F and line two baking trays with parchment paper. 2. Add the egg whites to the bowl of a stand mixer (or handheld mixer) and whip until stiff peaks form. Carefully slide the whipped whites into a small bowl and place in the fridge. 3. Add the butter and sugar to the mixing bowl and cream until smooth and fluffy. Continue by adding flour and carefully blend in, then add the vanilla and almond extract, blend again. 4. Remove the chilled egg whites from your fridge and combine with the mixture on low speed until the batter is smooth. Then stir in the sesame seeds. 5. 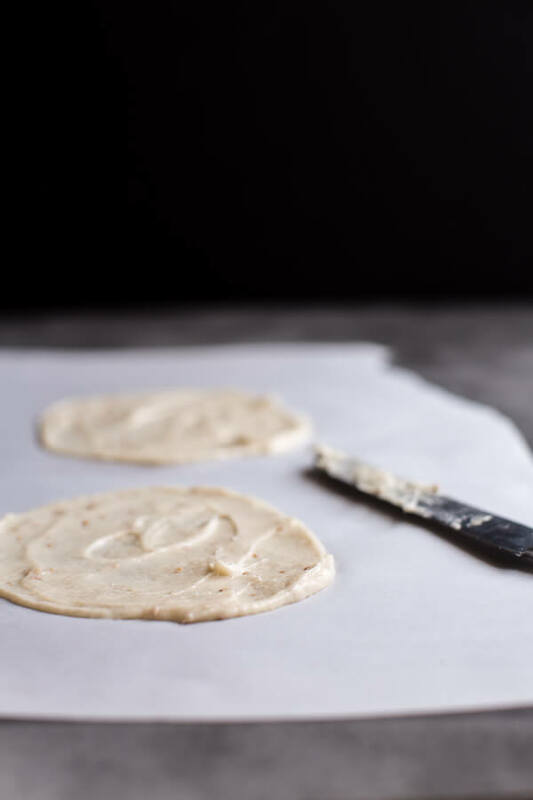 Using a 1 tablespoon measure, scoop out the batter and spread into a 3-inch circle, it should be a thin layer. Three cookies per baking sheet. 7. Bake each cookie until light golden brown, around 7 to 8 minutes. When the cookies are brown quickly remove the tray from the oven. Working quickly and with one at time, place a fortune message across the center of the cookie with a bit hanging out. 8. Use a flat spatula to carefully release the cookie from the pan. Fold it in half to make a semicircle. 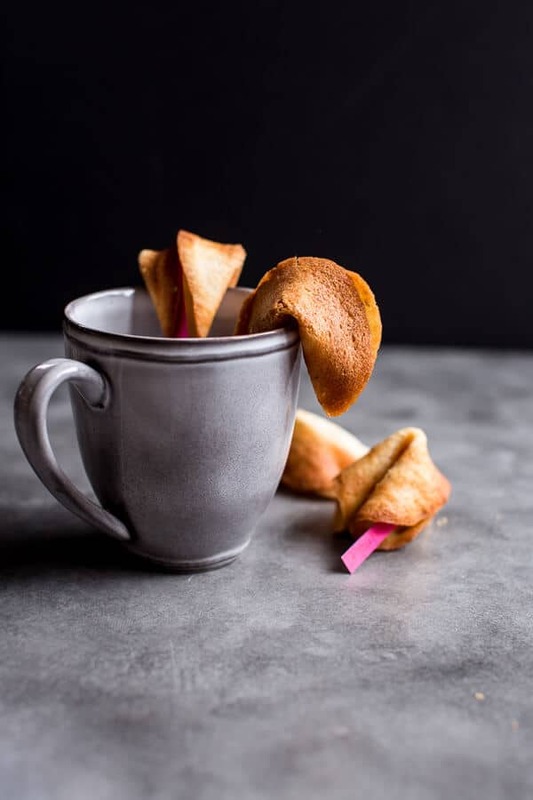 Place your semicircle onto the edge of a coffee cup or glass, and quickly fold the ends down, to shape into a fortune cookie. Transfer the cookie into a muffin tin mould to let it cool and hold its shape. 9. Line a cookie sheet with parchment paper whilst melting the chocolate. 10. 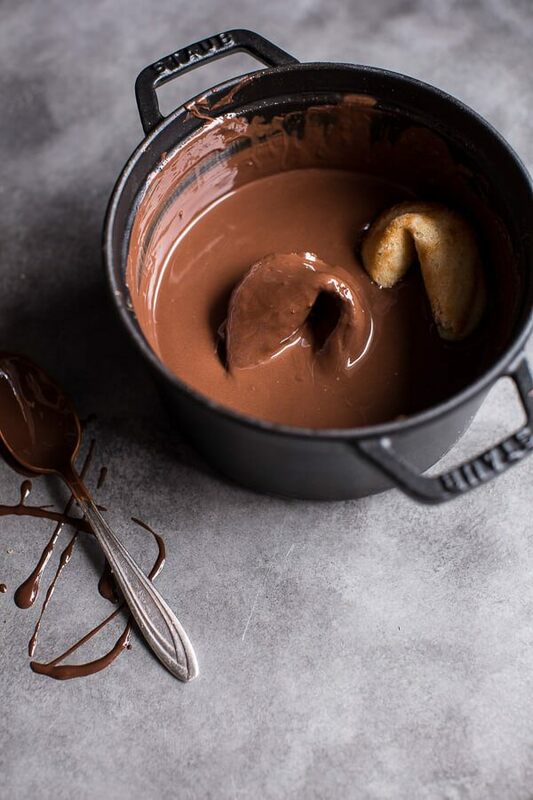 Dip each cookie into the melted chocolate, covering the cookie completely. You can use chopsticks or kitchen tweezers to dip the cookies. 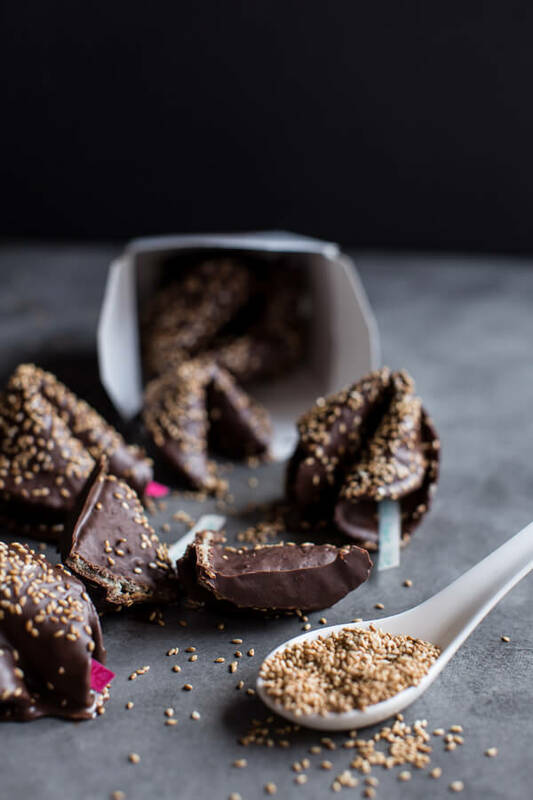 Place the chocolate covered cookie on the prepared cookie sheet and sprinkle with toasted sesame seeds. 11. Place the cookies in the freezer for 10-15 minutes to help the chocolate harden quicker. Store in an airtight container in a dry, cool place for up to one week.